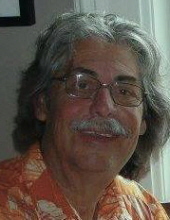 MADISON-James E. Schwartz, age 70, of Madison, passed away surrounded by his family on Friday, Jan. 25, 2019, at Meriter Hospital. He was born on Jan. 25, 1949, in Madison, the son of Thomas and Meda (Whiteis) Schwartz. Jim graduated from LaFollette High School in 1967. He married Beverly Triggs on March 26, 1977, in Madison. He joined the U.S. Navy in 1968 and was honorably discharged in 1972. After his time in the Navy, he was proud of his work as a DJ for various radio stations. Jim worked for the City of Madison Engineering Services Department until his retirement in 2008. He was very passionate about music, was a talented bass player, and enjoyed his time playing in a rock band. His family brought him the most joy. He was a devoted husband, father and grandfather, and always doted over his grandchildren. Jim is survived by wife, Beverly; sons, Tom Schwartz and James (Jessica) Schwartz; daughters, Michelle (Chad) Forsythe and Jill (Ryan) Drazkowski; grandchildren, Dan, Steven, Jordan, Hannah, Cain, Jetta, Alyssa, Roman, Jacob, Rylan and Dylan; sisters, Sandy Turner, Laurie (Ken) Turner and Juli (Doug) Schwartzsmith; brother, Joe Schwartz; and brother-in-law, Sig Leskinen. He was preceded in death by his parents; and two sisters, Marlyne and Sharon. A Mass of Christian Burial will be held at ST. DENNIS CATHOLIC CHURCH, 505 Dempsey Rd., Madison, at 11 a.m. Thursday, Jan. 31, 2019, with Fr. Randy Timmerman presiding. Burial will be held at Highland Memory Gardens. Visitation will be held at the church from 9:30 a.m. until the time of the Mass on Thursday. Online condolences may be made at www.gundersonfh.com. "Email Address" would like to share the life celebration of James E. Schwartz. Click on the "link" to go to share a favorite memory or leave a condolence message for the family.